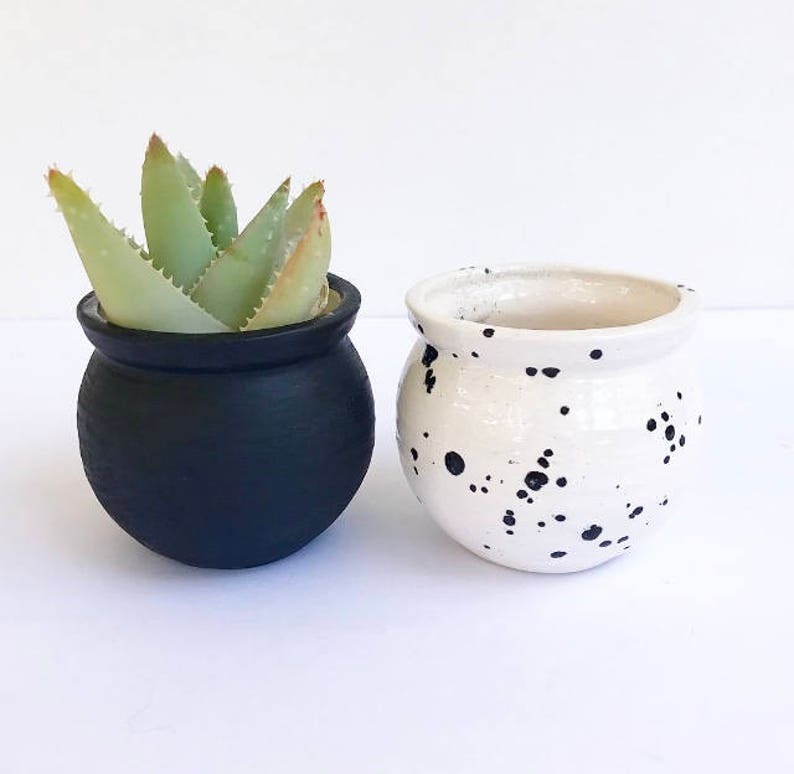 Cute little ceramic pots for the home. Does not come with a drainage hole. If you choose to have a drainage hole just add that in the notes section of your order. I will make it that way. 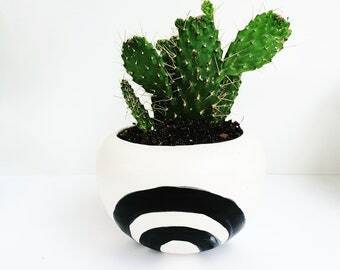 Love these little pots, and my cacti do too! Also very pleased that I have the option of requesting a drainage hole, it really makes a big difference to me!